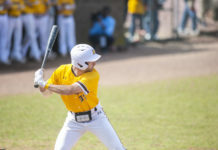 After splitting the regular season series, the Profs faced off against Stockton for the third time in the New Jersey Athletic Conference tournament semifinal round. Unlike the last meeting, an 85-53 win in favor of the Ospreys on Jan. 20, Rowan was able to work a convincing, 70-59 victory to advance to the championship game at top-seeded and three-time defending champion Montclair State on Friday. Stockton’s biggest lead came a little over two minutes into the first quarter, up 6-2. 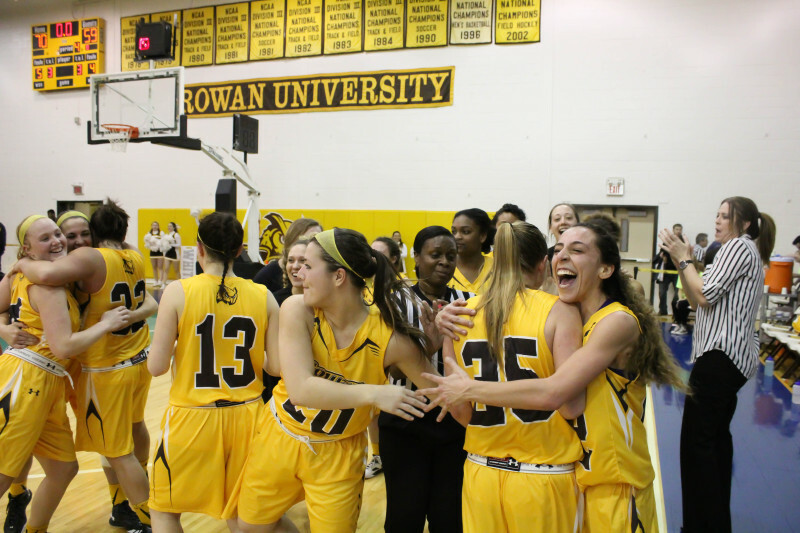 Rowan, however, soon tied things up with a basket by graduate forward Kate Matthews and took the lead a minute later off of a basket by fellow graduate guard Kaitlin Schullstrom. The brown and gold led for 32 of the 40 minutes. Sophomore guard Summer Crilley poured in a season and career-high 18 points off the bench, helping lead the Profs to victory. Besides her team winning the game, Lisella has plenty to be happy about. The 22-4 record the Profs have compiled this season is the program’s best since the 1999-00 season when they won 24 games. 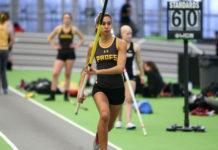 This is now Lisella’s best record as a coach at Rowan in her 16 seasons. It’s also the first time since the 2004-05 season that the Profs will make an appearance in the conference final. Coming into Friday’s championship, Rowan and Montclair have butted heads as of late. The two teams ended the regular season tied atop the NJAC standings and had their seeding for the tournament decided by way of a coin flip. 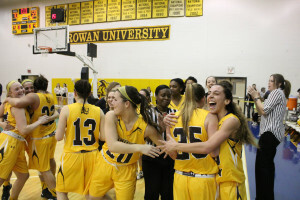 The Profs were able to pull out a win at Montclair on Jan. 6, 68-64 but the Redhawks outlasted Rowan, 71-70 in their second meeting on Feb. 10, which handed them their fourth and most recent loss of the season. It was the Profs’ lone home loss of 2015-16, ultimately factoring into the teams ending tied for first. In the second game, Rowan shot 37.3 percent from the field and an even lower 26.3 percent from beyond the three-point line. Montclair was able to shoot 44.3 percent from the field and 45 percent from three-point territory, after shooting 57 percent from three in the first half. The last time the two programs squared off in the conference tournament was seven years ago in an opening round game, with Montclair prevailing.